Train the Trainer Boot Camp is a highly interactive experience that will give you the confidence, skills and tools you need to be an exceptional trainer. You will learn from the nation’s top professionals on how to bring your credibility, confidence and speaking skills to the next level. You’ll also discover how to integrate our A-E Professional Development Model™ seamlessly into your daily work routine. Join us for the Train the Trainer Boot Camp! Train the Trainer Boot Camp is a highly interactive, four-day training program that teaches you exactly what you need to be proficient at training. Whether you are a training specialist, supervisor or a department manager, we will elevate the skills you need to be a successful trainer. You will learn from the nation’s top professionals on how to bring your credibility, confidence and speaking skills to the next level. 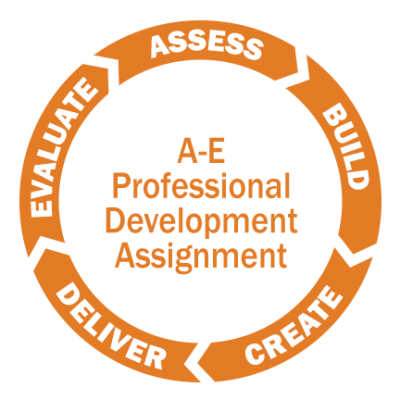 You’ll also discover how to integrate our A-E Professional Development Model™ seamlessly into your daily work routine. Whether you are a training department manager, trainer, coordinator or specialist, you will learn how to elevate your effectiveness. 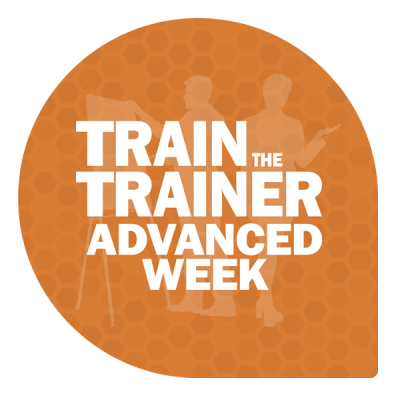 Train the Trainer Boot Camp will introduce you to the A-E Professional Development Model™ that will give you exactly what you need to be proficient at training. Practice makes perfect and during this highly interactive workshop, you will have the opportunity to teach two five-minute lessons, one to a partner and one to the group, affording you feedback on your teaching style. Come learn from the nation’s top trainers what you need in order to move your credibility, confidence, and skills to the next level. You will be eager to put in place what you’ve learned. Train the Trainer Boot Camp takes place twice each year in the Holiday Inn Express & Suites Humble, Texas. One of the best Trainings I have attended in a long time. Hands on Training and full of wonderful knowledge to take back with me. I recommend this to anyone that wants to learn the right way to train. There’s not enough time and space to express how valuable this class has been to me. The content, presenters, classmates, etc. were amazing and I can’t wait to get back to the office and implement everything I learned. This boot camp has been instrumental for my professional and personal career. I am able to take an abundant amount of skills back home, and look for more ways to continue growth. I loved the entire week. I feel prepared to go design my training programs to be successful! Thank you for all the activity ideas! I also appreciated the openness and advice on building relationships and training. I was able to use elements of the A-E Module in our church this summer when we did leadership training. It really helped to identify the areas of need and to put our focus and resources on those areas. Great experience, I would highly recommend this boot camp. Train the Trainer Boot Camp is a must for bank and credit union trainers, whether you are just getting started or need to fine tune your skills. Not only will you learn from the amazing InterAction team, you also learn from your peers. I use the skills, tips, & tricks from Boot Camp every day, not to mention the fantastic training manual. The Interaction Training team is awesome! You will leave this week with new training methods learned, tips and tricks to apply, along with many new ideas to enhance your training skills. Having been a bank trainer for 9 years, this was the first training I had attended with fellow industry trainers, which allowed me to develop valuable connections. I plan to pursue my Professional Bank Trainers Certification! I went from being an HR professional to VP Training and Retail Support. I don’t think this would have been possible without Train the Trainer Boot Camp and InterAction Training’s comprehensive certification that has prepared me for this role.